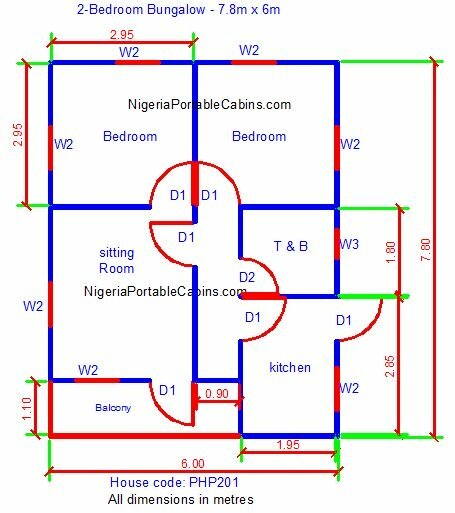 Bungalow Floor Plans Nigeria - Free Bungalow House Plans. Free Download. 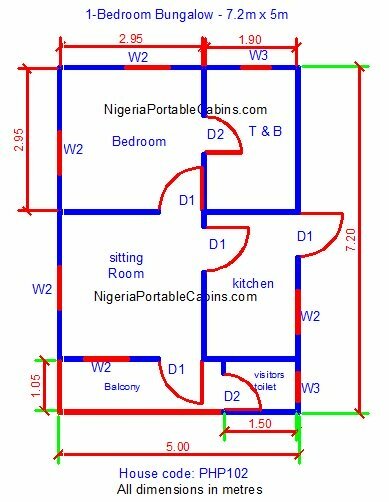 Bungalow floor plans (or bungalow house plans) are about the most requested building plans in Nigeria. It's because bungalow buildings are the most popular building types in Nigeria especially among low to medium income earners. Guess who make up the largest chunk of the Nigeria population? Yes, low to medium income earners! 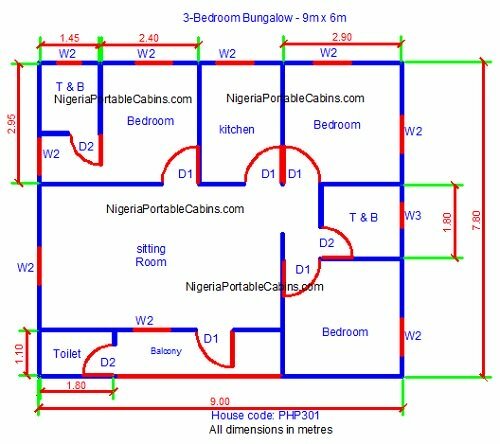 That is the very reason why we created this bungalow floor plan section to help you choose the bungalow house plan that suit your needs. Bungalow House Plans - What's Included? What are you likely to see in bungalow plans? What are the common features of bungalow floor plans? The above are the basics of every house as they address the basic human needs of relaxation, sleep, cooking, and excretion. Who decides what should be included in bungalow floor plans? It's YOU, the property owner. Remember though that the more the number of items in the bungalow house plan, the larger the space occupied by the property and the greater the number of partitions. And all of that translates into higher construction cost. to the size of your pocket and not the size of your taste. If you go with your expensive taste and not the size of your bank account, you may spend years building that dream house and not experience the joy of been a home owner sooner. Many folks who went in that direction end up not completing the dream luxury house because of a sudden negative change in their financial circumstances. If you have a fat bank account, build to your heart's pleasure. However, if you're like the majority of low to medium income Nigerians, build a modest bungalow and enjoy the satisfaction of being a landlord now NOT later. The good news is . . . we have simple and cost effective free bungalow house plans that can save you money big time. We also have luxury bungalow plans for medium to high income earners. You can see some of our bungalow plans on this page. Best of all, you can download our free catalogue with different bungalow designs and choose the design that resonate with you. Alternatively, you can order a custom design and we will design your building for you according to your specification. Want a custom designed building plan? Fill the form below to send us your building design requirement and we will draw your building plan to your specification. P.S: Building plan drawing service is currently on hold. But you can purchase any of the bungalows shown above or something different. How? Simply REQUEST A QUOTE.